An area encompassing the “Thirty Thousand Islands” much of it is designated as a UNESCO biosphere reserve striving to achieve conservation of biological diversity while at the same time encouraging sustainable development practices amongst its user groups and communities. Eastern and Northern Georgian Bay includes the coastline from Severn Sound to the French River, west toward Killarney and McGregor Bay. It contains the greatest number of islands and longest coastline in the Great Lakes basin and indeed is the world’s largest freshwater archipelago. The shallow waters and numerous sheltered islands and inlets provide a setting for high quality coastal wetlands that provide important habitat for colonial nesting water birds, including globally and nationally rare species. Reptile diversity along the coast is also the highest in Canada. 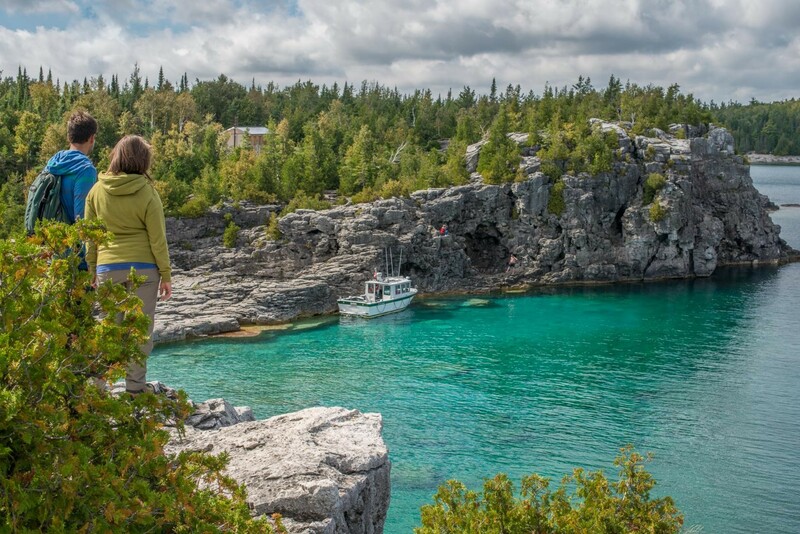 This region include the Georgian Bay Islands National Park and its global significance was recognized through the establishment of the the UNESCO Georgian Bay Biosphere Reserve. Funding has been provided to Georgian Bay Biosphere Reserve over a number of years to support Framework Actions.